These are the Australian standards which are set to management of risk. These are generic guidelines which can be used by any public and private organization to manage their risk in the business. Following are the purpose of the standards on risk management. Standards are the benchmarks which are to be followed by every organization to manage its risk. This emerges uniformity in the activities of every organization and provides a unique structure to understand the policies for risk management. These standards provide a framework which helps to manage the activities to control risk and increase certainty in the organization (Kouns, et. al., 2011). To adopt the standards of risk management in the business every organization should consider the structure of the business and then the risk factors which should be managed. And then analyses should be done to know the effectiveness of those standards on the organization. And then all the required due diligence should be completed to adopt the standards in the organization (Bamberger, 2010). Question 2- Outline the legislative and regulatory context of organizations in relation to risk management. Today’s business environment is dynamic and economy also not fixed and changes according to the business market, so there is always a risk in the business. Every organization has many aspects which are related with the functioning of organization. So it is essential for every organization to manage its risk and increase the certainty in the business. The legislative requirements can be defined as the management policies for the strategic planning which helps to take appropriate decisions by analyzing the options. First of all the risk should be identified and factors which are the key factors. For this the SWOT analysis should be done to analyze the opportunities and threats which should be managed (Grene, 2014). Corporate Governance plays an important role in the performance of the company. All the due diligence should be timely to decrease the risk. Standards for risk management should be adopted to make a uniform framework. Proper allocation and utilization should be done of resources. The investor and customer loyalty should be increased (Grene, 2014). Question 3- Explain why it is necessary to determine the scope for the risk management process. In every organization it is essential to manage the risk to remove uncertainty. There is a wide scope of risk management in every organization. 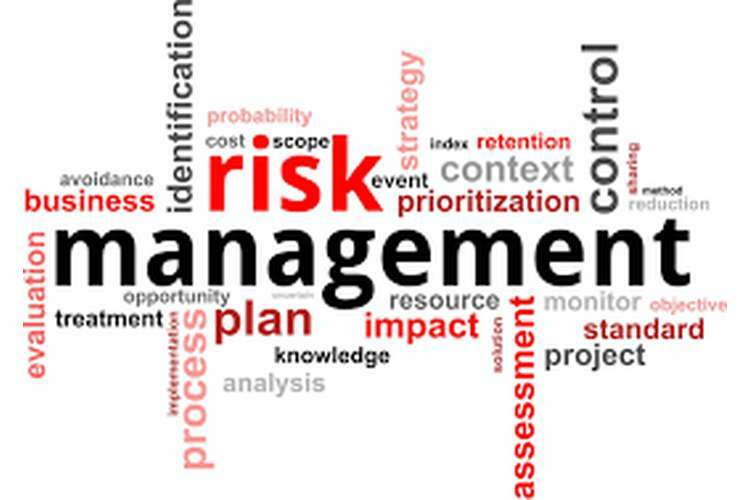 The process of risk management includes risk management planning, risk identification, risk analysis, and risk control. First of all a procedure or plan is created which is a framework for the company. 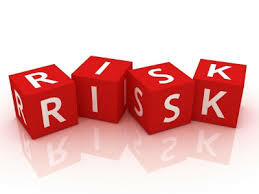 Then identification of risk is done and divides them suitable categories which can help to manage them easily. The analysis of risk also included in the scope of risk management. Risk can be analyzed by two methods, qualitative and quantitative. This can be done by using different techniques and methodologies defined as in the standards of risk management. Controlling the activities in the risk management is also a way to minimize the risk. This is done by monitoring the risk and variations in the process of risk management (Lindholm, et. al., 2015). In the process of risk management political aspects plays an important role. In the business environment the government and level of stability is a key factor. A stable government will increase the businesses and help them by having good relationships with the foreign governments. The economy of country is the key element which helps to manage the flow of money in the market. Lack of funds in the market can emerge the problem of inflation. Inflation is treated as a risk for every business (Lindholm, et. al., 2015). The social aspect in risk management can be defined as if the society is not satisfied with way of working of company there will be a risk of decrease in the profits of the company. There are legal requirements which should be followed by every company to complete its due diligence. The organization should consider the requirement of law for assessment of risk management i.e. adoption of standards set for risk management (Lindholm, et. al., 2015). The changes in the technologies help an organization to maximize its profits and make a balance with the need of the market. It is a risk for a company to not achieve the requirement of technologies. The policies of government should be considered while making the risk management process as in there are many aspects by which it can make an impact on a business (Lindholm, et. al., 2015). Question 5- Explain why it is important to document critical success factors, goals or objectives for the area included in the scope. In every organization some factors which are crucial for the growth are executed and goals and objectives are also set which works as benchmarks of the activities of the company. For the formation of risk management process these benchmarks are considerable because it helps to identify the risk which can be a hurdle to achieving these benchmarks. These standards also helps to monitoring the risk process by evaluating the risk and calculating variance. These factors give a framework to every activity in the organization (Lindholm, et. al., 2015). Question 6- Explain why it is necessary to review and analyze existing risk management processes, procedure and requirements before updating a risk management plan. Before any alteration and amendments in any policy and plan it is required to analyze existing policies and plans. Updating or altering a policy means enhancing quality of existing policy. By analyzing the running process we can have knowledge about the effective and ineffective features. The study of process, procedure and requirements gives a framework or roadmap which can help to make an effective risk management process. Reasons can be identified for lacking of the existing policy and improvements can be done on those points. Without having an overview of existing process of risk management it is not possible to establish an effective management of risk (Dominey-Howes, et. al., 2015). Question 7- Why it is necessary to obtain support for risk management activities. In the organization there is a committee established to manage all the activities related to the risk management process. When the process is decided one person is elected or appointed who will take the responsibility for proper running of this process and will be liable to communicate this risk management approach to its organization and explain the advantages of adopting a systematic approach towards risk management process. He will be liable to monitor the process and will ensure that all that all the factors considered while formation of risk management process (Dominey-Howes, et. al., 2015). Scenario analysis and risk questionnaire & risk surveys are two types of information that a manager could utilise in order to research risks that can apply to scope (Emblemsvåg, 2010). Q. 9 List two tools and techniques used to generate a list of risks that apply to the scope, in consultation with relevant parties. Brainstorming: It is an effective session in which participants share their views and ideas in order to prepare a list of risks. SWOT analysis: It is an analysis of (Strength – Weaknesses – Opportunities – Threats) of the organisation and easily help in preparing list of available risks (Emblemsvåg, 2010). Q.10 what are the five possible options for treating risks? 5. Transfer: If possible then transfer the risk to third party (insurer) (Emblemsvåg, 2010). Q.11 List at least four key components of a risk treatment action plan? Q.12 List at least four reasons risk management documentation needs to be maintained. 2. Documented risk management is utilised in order to analyse and categorise risks and put effective control over it. 3. It represent that organisation is having set plan of mitigating risk. 4. To make adequate improvement over controlling available risk factors (Dominey-Howes, et. al., 2015). Q.13 Explain why it is necessary to evaluate the risk management process. In order to know the effectiveness of the risk management process it becomes necessary to evaluate it as whether it is efficient enough in order to identify and resolve the risk available in the organisation or project (Dominey-Howes, et. al., 2015). Bamberger, K.A. 2010, "Technologies of compliance: risk and regulation in a digital age", Texas Law Review, vol. 88, no. 4, pp. 669. Dominey-Howes, D., Bajorek, B., Michael, C.A., Betteridge, B., Iredell, J. & Labbate, M. 2015, "Applying the emergency risk management process to tackle the crisis of antibiotic resistance", Frontiers in microbiology, vol. 6, pp. 927. Emblemsvåg, J. 2010, "The augmented subjective risk management process", Management Decision, vol. 48, no. 2, pp. 248-259. Grene, S. 2014, Hedge funds split over AIFMD risk management rules: Regulation, London (UK). Kouns, J., Minoli, D. & Books24x7, I. 2010;2011;,Information Technology Risk Management in Enterprise Environments A Review of Industry Practices and a Practical Guide to Risk Management Teams, 1st edn, Interscience, US. Lindholm, C., Institutionen för datavetenskap, Faculty of Engineering, L., Lunds universitet, Department of Computer Sciences, Institutioner vid LTH, Lunds Tekniska Högskola, Lund University & Departments at LTH 2015, "Involving user perspective in a software risk management process",Journal of Software: Evolution and Process, vol. 27, no. 12, pp. 953-975.